We are the leading Manufacture, Suppliers, and Exporters of Finned Tube Heat Exchangers, Chennai, India which are known for its effective functioning among our valued clients. This exchanger is the appropriate solution where low heat transfer fluids and low-density fluids are to be exchanged with the high heat capacity stream. 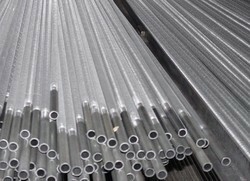 Tubing is formed in these exchanges in a single, continuous length which is bent into a zigzagged or serpentine shape then inserted through elongated slots formed in a series of fin plates. It is manufactured in accordance of requisite norms and standards.